Joan Collins Unscripted tickets are on sale now for the London Palladium. Global superstar, actress, philanthropist and best-selling author Joan Collins will be Joan Collins Unscripted touring the UK in a brand new one-woman show. This all-new show for 2019 provides fans with a once in a lifetime opportunity to spend an intimate, entertaining and unforgettable evening in the company of a true Hollywood legend at the London Palladium on Sunday 17 February 2019. 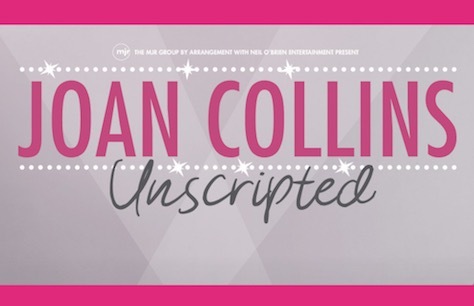 Book your tickets to Joan Collins Unscripted at the London Palladium now for the best seats and prices when you use our interactive seating plan!